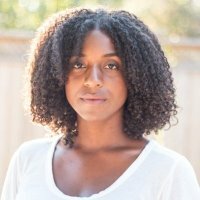 Leaves of Trees is a skincare company from Toronto, Canada with an artisanal approach and steadfast commitment to quality. All products are made in-house, by hand and in small batches, using as many high-quality organic and fair trade sources as are available. Founded by Dr Roohi Qureshi who set out to fuse good science with thoughtful design and ethical practice, Leaves of Trees quickly built a reputable brand and a passionate customer community, all of whom respected Dr Qureshi’s commitment to quality and principle. Initially operating out of a bricks and mortar store in Toronto, Leaves of Trees partnered with Shopify to expand their retail operations online and with Okendo to build their online community. 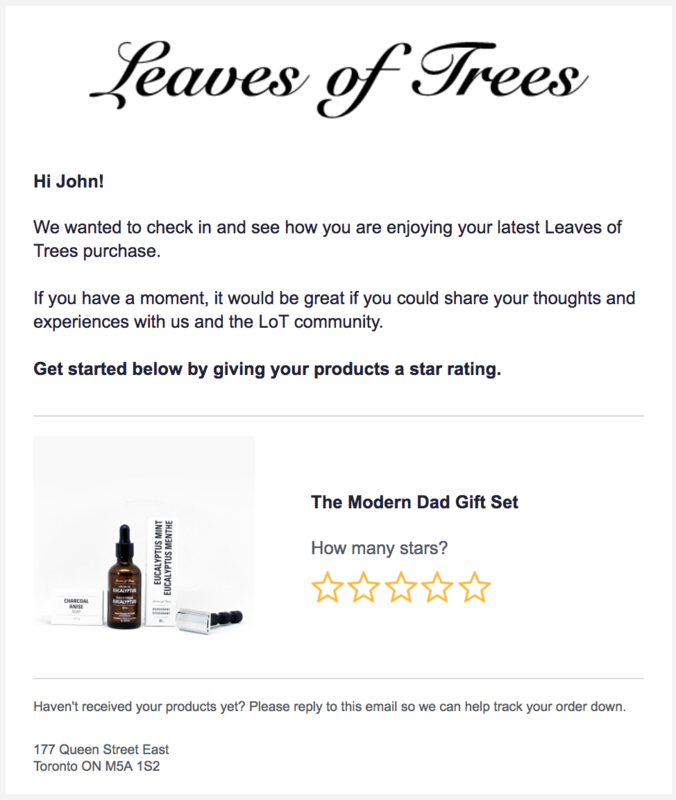 Leaves of Trees began their ecommerce journey on the Shopify platform and for a while were content with the default Shopify Product Reviews app for capturing customer feedback. Following a conversation between Marketing Manager Erika Williams and Okendo, the Leaves of Trees team began considering the potential impact on growth that developing a more mature customer content marketing strategy could provide. While the Shopify Product Reviews app provided a means to capture reviews, it lacked the more sophisticated email functionality needed to automatically send review requests to customers after their purchase. As a result, the volume of reviews Leaves of Trees were generating each month was minimal. Furthermore, the quality of those reviews were low, frequently consisting of little more than a sentence or two and a star rating. This was of little use to shoppers looking to gain deeper insights into key product dimensions and the experiences of past customers. Having developed an intimate knowledge of Leaves of Trees customers from both in-store and online interactions, Erika knew that shoppers were interested in understanding specific aspects to different products. 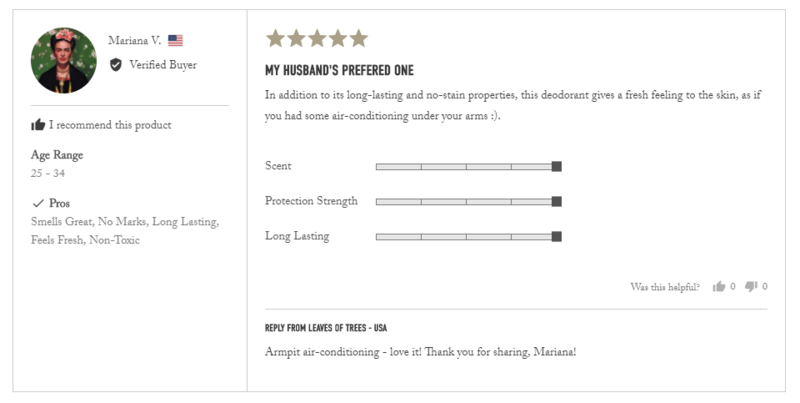 For example, for the best selling product category, natural deodorant, shoppers always had questions around protection strength and protection duration. Past customers were optimally positioned to provide feedback on these dimensions yet Leaves of Trees had no way to capture this valuable insight. Using Okendo, Leaves of Trees would send automatic review request emails to each customer to request they submit a review of their latest purchases, after an order in Shopify had been marked as complete . Additionally, Leaves of Trees used the Okendo ‘Look Back’ functionality; a once-off review request email to customers who had purchased an item over the previous 90 days but had not yet provided a review. These two features resulted in a total of 81 new customer reviews during the Leaves of Trees initial trial of Okendo, representing a 1188% increase in the rate of reviews generated when compared to Shopify Product Reviews. Better still, the quality and usefulness of customer reviews in the decision making process was improved. This was achieved by enabling customers to provide additional information about their skin type and skin concerns, combined with structured insights into key product dimensions. Leaves of Trees worked closely with Okendo to create custom questions for each main product category, ensuring the utility of reviews for each product was maximised by capturing customer insights into the dimensions which mattered most to future shoppers. Leaves of Trees partnered with Okendo to implement a reviews system that would dramatically increase both the quantity and quality of customer reviews. Okendo would also provide Leaves of Trees with the tools needed to leverage customer content generated at key stages throughout the buying journey and across different channels, including Facebook and in Google search results.